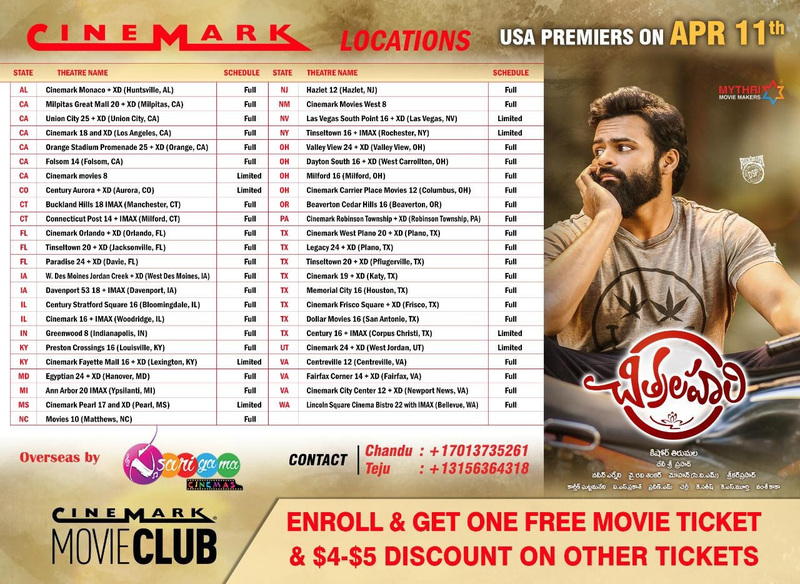 Sarigama Cinemas is now bringing a wholesome entertainer, Sai Dharam Tej’s Chitralahari Movie Overseas Release by Sarigama Cinemas for Telugu movie lovers. There are plenty of reasons to look forward to this upcoming movie. The Chitralahari Full Movie is produced by the popular production house Mythri Movie Makers. Mythri Movie Makers emerged as one of the leading production houses of Telugu cinema after blockbuster hits like Srimanthudu, Janatha Garage, and Rangasthalam. Sai Dharam Tej looks fresh and confident in the film. Kalyani Priyadarshan steals the show by playing the role of a confused girl. Nivetha Pethuraj is heartbroken. Sunil and Vennela Kishore will be seen in other crucial roles and Chitralahari Film is majorly focussed on some light-hearted entertainment. Chitralahari is being directed by Kishore Tirumala. Sensational music composer Devi Sri Prasad Songs and BGM is a big asset to this movie. Once again, our sincere thanks to Mythri Movie makers for extending their support and providing us this opportunity to travel this prestigious journey. The Sarigama Cinemas continues to deliver the highest caliber of movies & entertainment to overseas audiences.